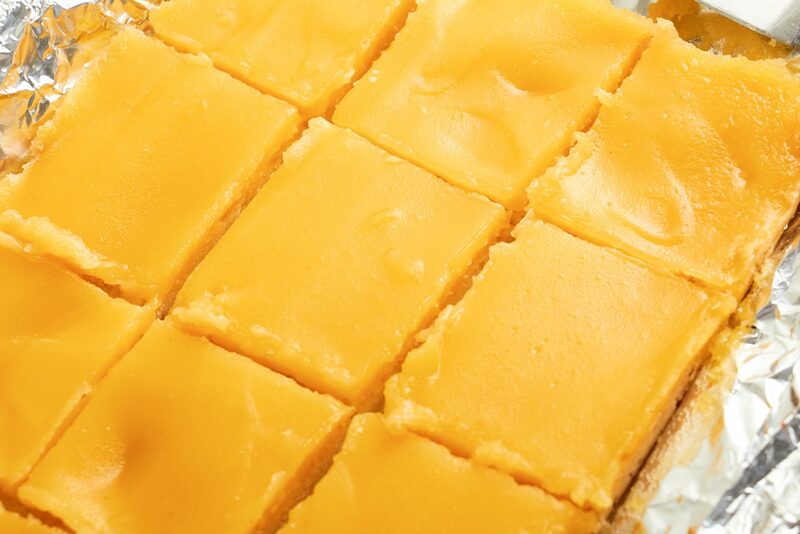 These tangy lemon squares make the perfect afternoon snack with a refreshing drink. They have a light shortbread-style base, and smooth lemony topping. 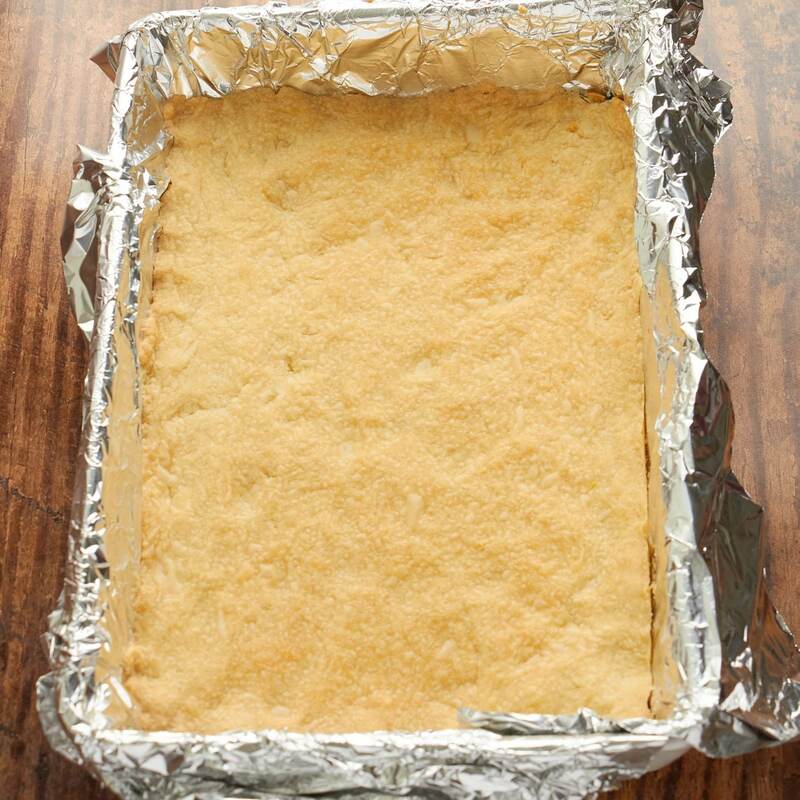 They’re quick to make, although you will have to cook the shortbread base first before adding the topping. 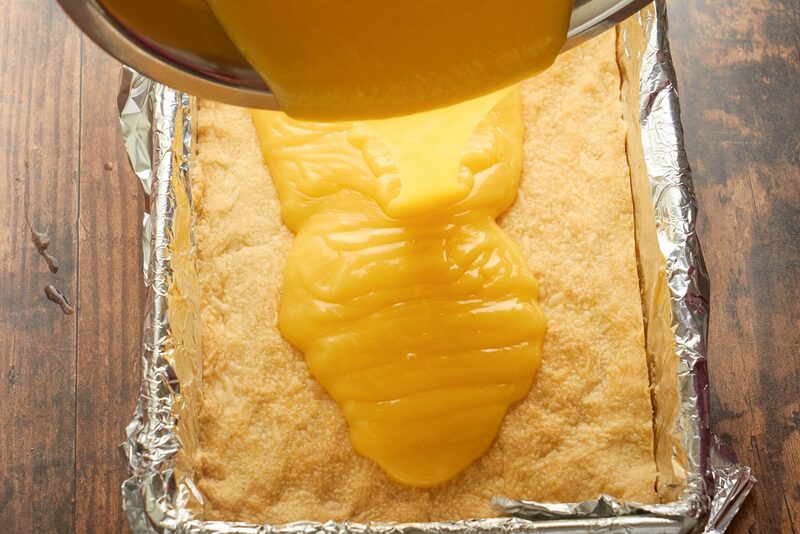 Cover a 9-inch square cake pan with two sheets of heavy duty aluminum foil, perpendicular to each other. Spray with nonstick cooking spray or brush with vegetable oil and set aside. Put the flour, powdered sugar and salt in a food processor and process briefly, about 2 seconds. 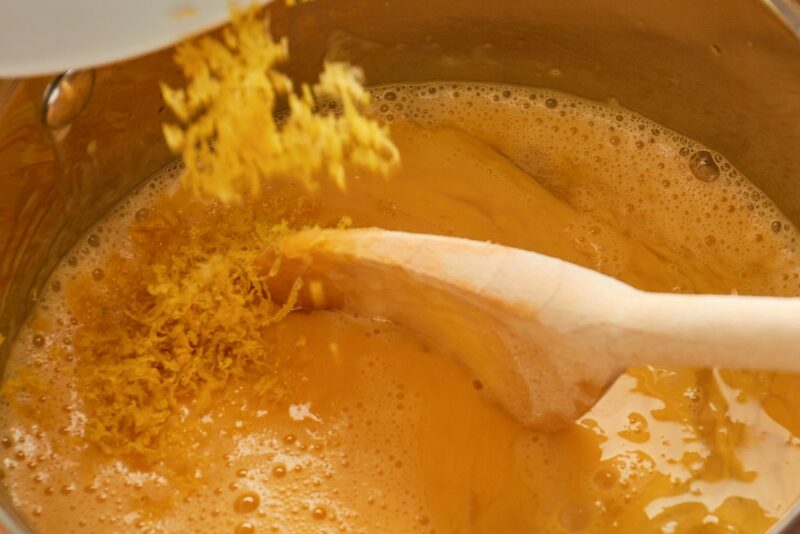 Add the butter pieces and process to blend, 8 to 10 seconds, then process until the mixture is pale yellow and resembles coarse meal, about three 1-second pulses. Sprinkle the mixture into the prepared cake pan and press firmly with your fingers into an even layer over the entire pan bottom. Refrigerate for 30 minutes. While the crust is cooling in the fridge, preheat the oven to 350 F/160 C/gas mark 4. After 30 minutes, bake the crust in the oven until golden brown, about 25 minutes. 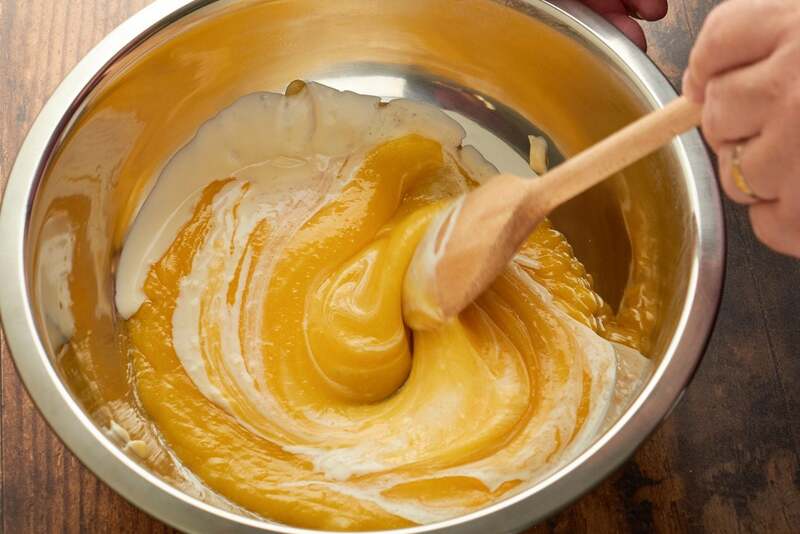 In a medium saucepan whisk together the egg yolks and whole eggs until combined. 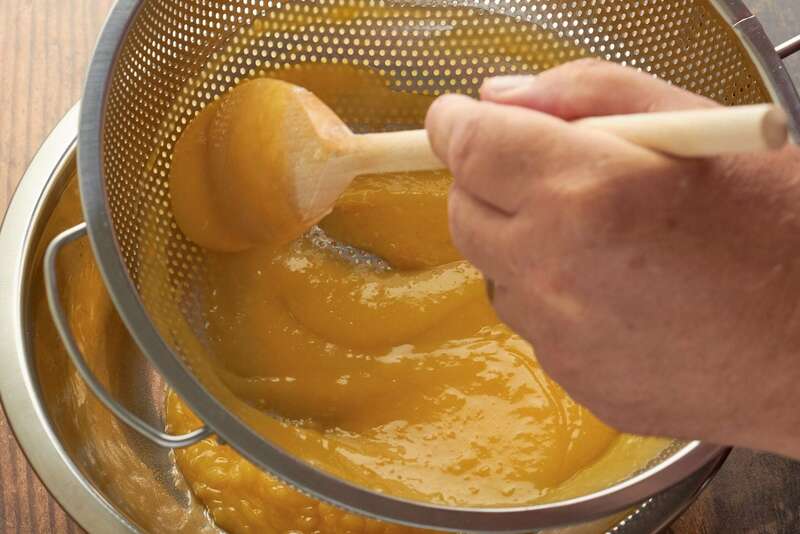 Add the sugar, lemon juice, zest and salt until well combined, about 30 seconds. 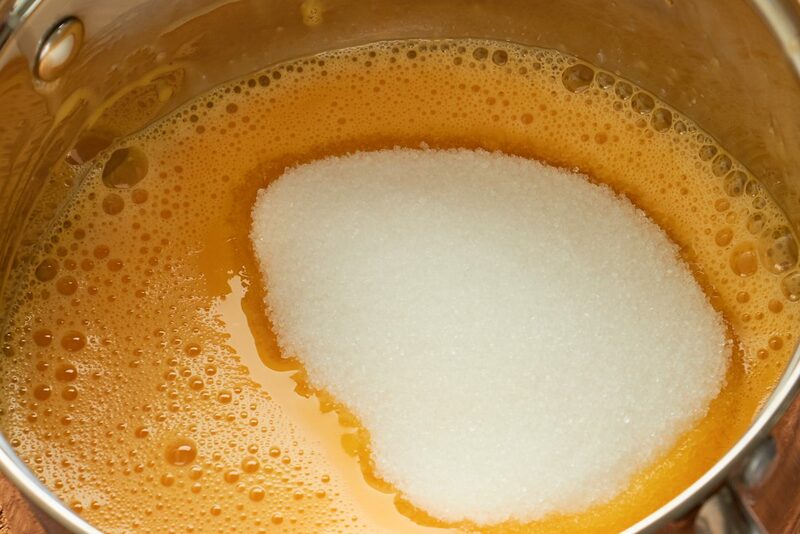 Add the butter pieces and cook over medium-low heat, stirring constantly with a wooden spoon, until the curd thickens to a thin sauce-like consistency (about 170 degrees on an instant-read thermometer), about 6 minutes. Immediately pour the curd through a fine-mesh steel strainer set over a medium bowl. Stir in the heavy cream and then pour the curd into the warm crust. 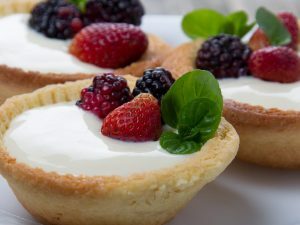 Bake until the filling is shiny and opaque and the center 3 inches jiggle slightly when shaken, about 10 minutes. Cool on a wire rack to room temperature, about 45 minutes. Remove the bars from the pan and transfer to a cutting board. Cut into 2 inch squares, wiping the knife blade clean between cuts as necessary. Sieve powdered sugar over the bars, if you'd like. 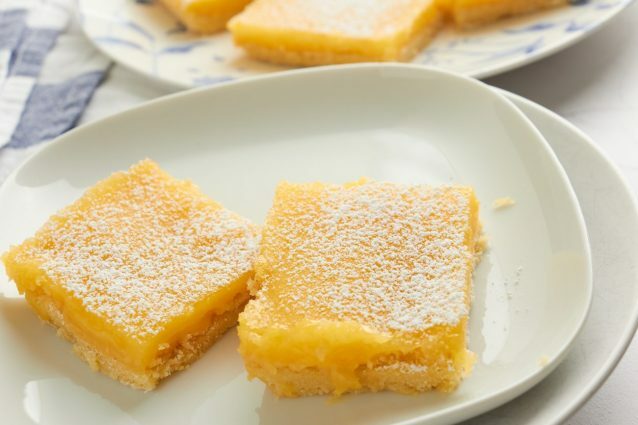 If you can get hold of meyer lemons, try and make these squares with them. The lemon taste will just burst on your tastebuds!